For 2017, “the total incremental cost of all new regulations, including repealed regulations . . . shall be no greater than zero” unless otherwise required by law or consistent with advice from the Director of the Office of Management and Budget (OMB). Plaintiffs, Public Citizen, Inc. (a nonprofit consumer advocacy organization), NRDC and the Communication Workers of America (AFL CIO), filed suit in the U.S. District Court for the District of Columbia challenging the “1-in 2-out” EO. They primarily attack the requirement that new rules can be promulgated only if the net impact does not impose greater costs. 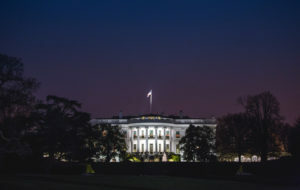 They argue that, by narrowly focusing on cost without considering benefits, the EO necessarily violates the Administrative Procedure Act and the statutes from which the agencies derive rulemaking authority. Meanwhile, an April 5, 2017 OMB guidance document has exacerbated concerns for critics of the rule by clarifying that agencies must offset even regulations that are required by statute (effectively forcing deregulation relative to the status quo). The document also provides numerous instances when agencies are required to consult with the Office of Information and Regulatory Affairs (OIRA), likely slowing rulemaking efficiency. Finally, it states that a Clinton-era EO, which required the weighing of costs and benefits before promulgating a new regulation, still applies. Critics are likely to argue that this clarification will not undo the damage caused by the EO, but only leaves intact prior restrictions associated with promulgating new rules and likely even requires a reconstruction of the cost-benefit analysis of old rules. In response to the Defendants’ motion to dismiss, Plaintiffs amended their complaint on April 21. The Defendants’ deadline to reassert a motion to dismiss is now May 12.